Looking for their third straight title, the Golden State Warriors open the 2019 NBA Playoffs as the Vegas favorites at 1-2 to win it all. The Milwaukee Bucks, who had the best record in the NBA, own the second best 2019 NBA playoff odds at 6-1, while the Houston Rockets (8-1), Toronto Raptors (12-1), Philadelphia 76ers (18-1) and Boston Celtics (18-1) are all among the top contenders to hoist the Larry O’Brien Trophy at the end of the NBA Playoffs 2019. The action gets underway Saturday with four games on the NBA schedule, including the Warriors hosting the Clippers at 8 p.m. ET and the Spurs heading to Denver at 10:30 p.m. ET. It’s one of the most exciting postseasons in all of sports, so before you make your 2019 NBA Playoffs picks, listen to the NBA Finals predictions from SportsLine’s advanced computer model. Now, it has analyzed the current 2019 NBA Finals odds and locked in its top targets and teams to avoid like the plague. You can only see them over at SportsLine. We can tell you the model is fading the Rockets, who were just one win away from the NBA Finals a year ago. The Rockets, a 4-seed in the 2019 NBA Playoff bracket, are led by James Harden, the first player in NBA history to average at least 35 points and seven assists in a single season. And Houston enters the NBA Playoffs 2019 as one of the league’s hottest teams, having won six of their last seven, but they’ll face a Jazz team that boasts a top-five scoring defense. Houston struggled to score in its regular season series against the Jazz. In fact, the Rockets scored just 99.0 points per 100 possessions, the fewest Houston scored against any Western Conference opponent this season. The model gives Houston just a 52 percent chance of advancing to the second round and only a six percent chance of advancing to the Western Conference Finals. There are far better values than the 8-1 premium the Rockets are commanding. Another shocker: The model is high on the Magic, saying the 7-seed has a 41 percent chance of beating the Raptors in the first round. Orlando, which enters the postseason on a white-hot 11-2 run, is making its first postseason appearance since 2012 and will face a Toronto team that has reached the playoffs six straight years. The Raptors will have home-court advantage in the first round against Orlando. However, the Magic have proven they can beat Toronto on the road, dominating the Raptors 113-98 at Scotiabank Arena in February. The model also loves a massive long shot to make a deep playoff run. Anyone who backs this underdog could hit it big. Who wins the NBA Finals? And which massive long shot can go all the way? 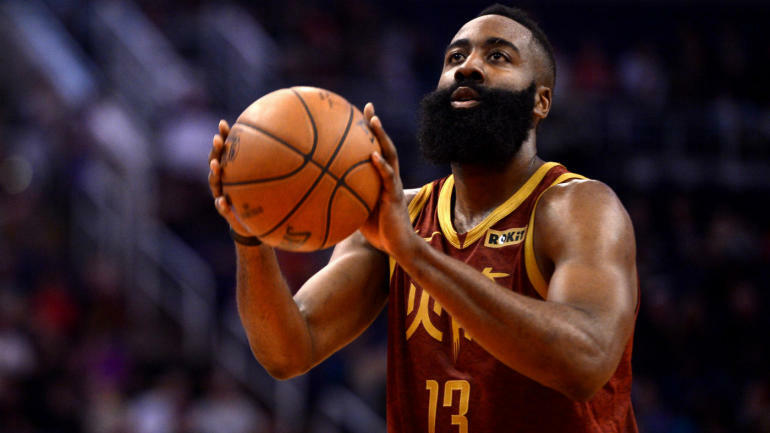 Check out the latest NBA playoff odds to win below and then visit SportsLine to see who you should back to win the NBA Finals, all from the proven model that is up more than $4,000 on its NBA picks this season.